Interactive spaces, creativity, and project organized studies. 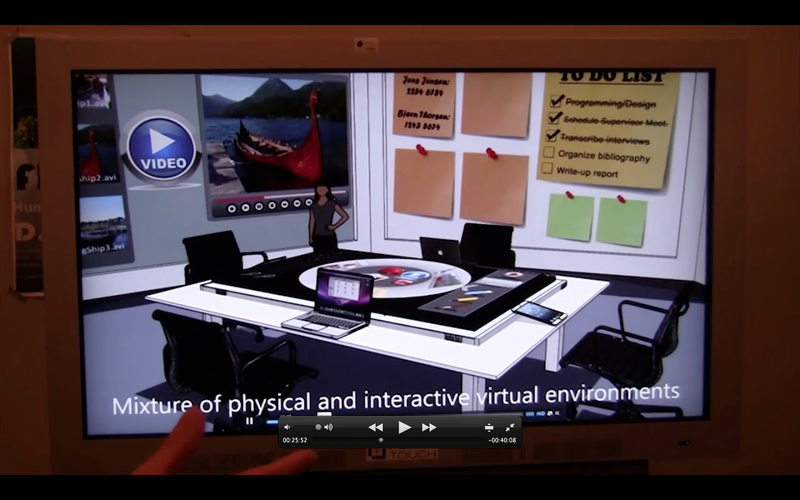 Space, movement and visualization are three keywords in a report concluding the pilot project RUC Digital Group Room (working title) from 2014-2016. The report “Interaktive grupperum: Kreativitet og kompleksitet i projektstudier,” is written in Danish, but early in the project an English video was produced with the aim to visualize some of the thoughts and ideas of the project (see below). 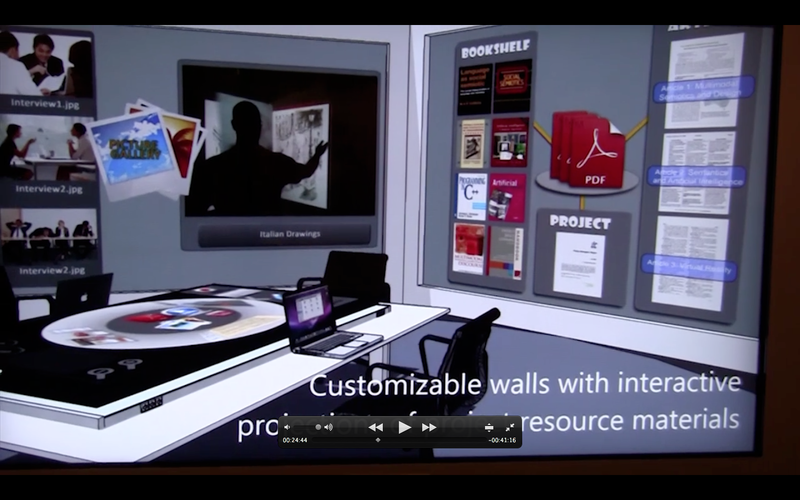 A prototype of a RUC digital group room was developed in 2014 and it was discussed at workshops with university students from disciplines across faculties (computer science, performance design, communication studies, history, philosophy). 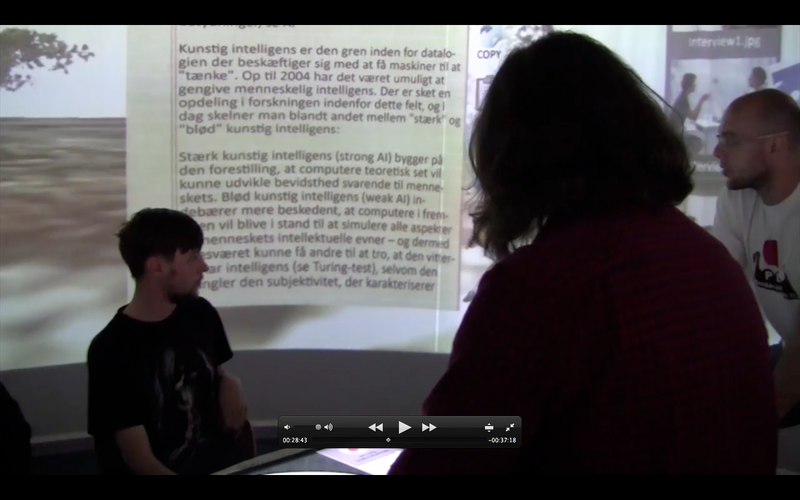 In the early video as mentioned above we imagined what a digital group room at Roskilde University might look like – yet changes have been the outcome of ongoing discussions with students. Even if produced at an early stage of the project the video still visualizes our early thoughts and ideas and some of these main ideas still hold true. 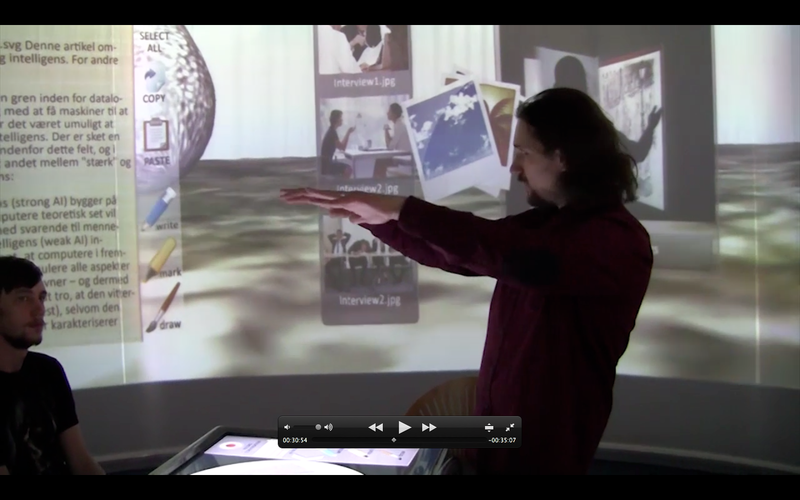 Take a look at the video: Digital Grouproom @ RUC – TAKE 2 from Ates Gursimsek on Vimeo. This entry was posted in Blog, Projects, Videos and tagged creativity, digital grouproom RUC, interactive space, prototype, report, student projects on 2015-09-30 by sisse.